The practice of logo designing has become very common now a day as it represents the company's business. All the fields, in which a company is trading, are represented in a single logo. This is the best way to make impression and customers are highly attracted towards it. We provides you the facility of all sorts of Logo designing in Lahore Pakistan. We are living in the world of competition and only those companies are successful which have adopted the best way of advertising. Web designing is one of the most exceptional company in Pakistan who took the initiative to make a successful mobile application for every business in Pakistan not only the smaller one but also, the bigger one. We are practicing agile in our company that is the reason our development process is smooth, and we can quickly deliver products to the customer for evaluation. Everyone thinks that this is quite costly to make a mobile application, but for us, nothing is expensive than your satisfaction. We are not charging very high prices from our clients so that it will never burden your pocket. On the other hand, this will offer you a business in your pocket which is more economical than you think. You can contact us for the quote, and we will provide you optimal solution in your budget also. We are having a pool of experts to which you can ask for solutions. 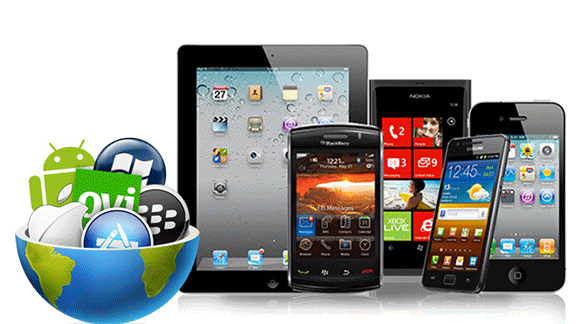 We can efficiently manage a customized mobile application for your business so that you can do all the tasks on your mobile phone. This will surely increase the productivity of your business too. All the companies in Pakistan are loving this new approach and trying to emerge their business on a smartphone. Our team has innovative application designs you can ask from them or order your design by giving your specifications. We are working hard to provide you with work with the highest quality according to your requirement. We have a lot of satisfied customers in Pakistan and especially in Lahore. We have a lot of users now in Pakistan who are using mobile applications, and they are ready to do shopping online through mobile apps. We know this need of every business and making solutions accordingly for them. You can now reach your target audience easily without any problem and your this interaction can win their trust in you. This will also increase the brand loyalty of the customer, and they will trust your business more which is a positive thing to grow in the market. 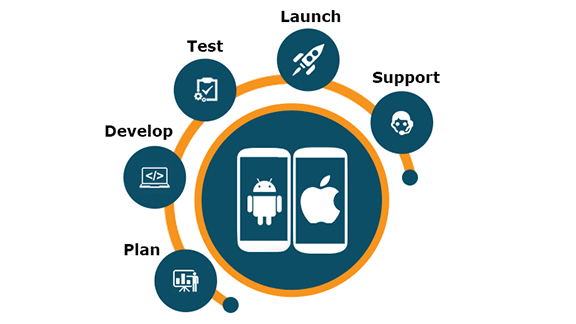 We are making mobile apps for every platform such as android, apple, windows, and blackberry. Every screen has its specs, and we are ready to tackle with them so you can relax on every screen while using our application.